The best windscreen company ever! Thanks for delivering your windscreen in time for my vacation. 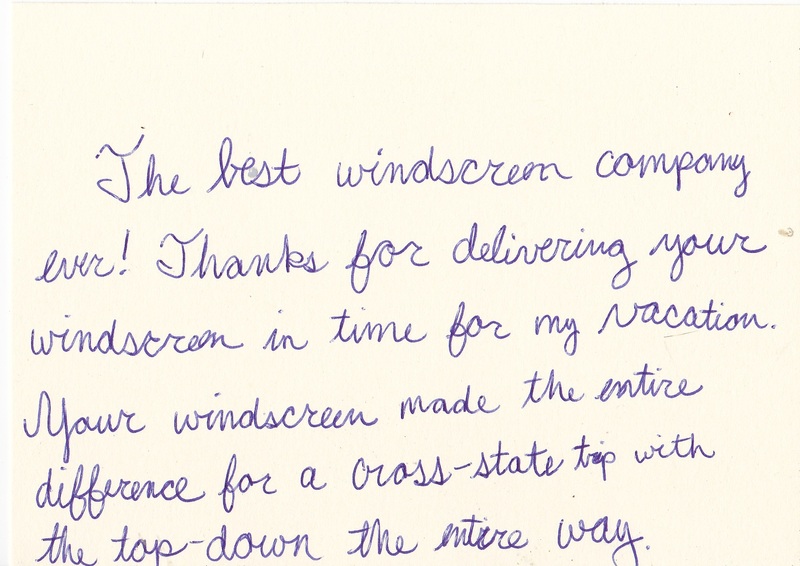 Your windscreen made the entire difference for a cross-state trip with the top-down the entire way . 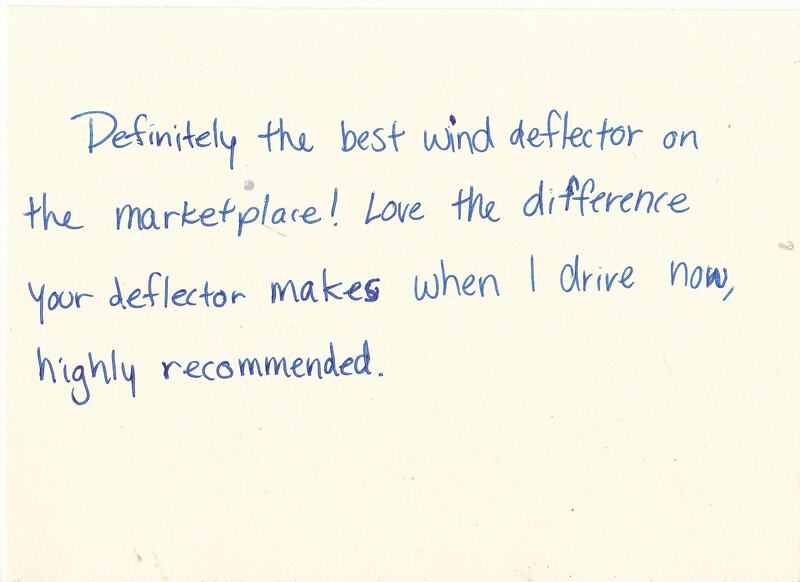 Definitely the best wind deflector on the marketplace! Love the difference your deflector makes when i drive now, highly recommended . Thanks for helping me out on our cross-country drive .We went over 3000 miles, all top-down! The wind blox made the entire difference . 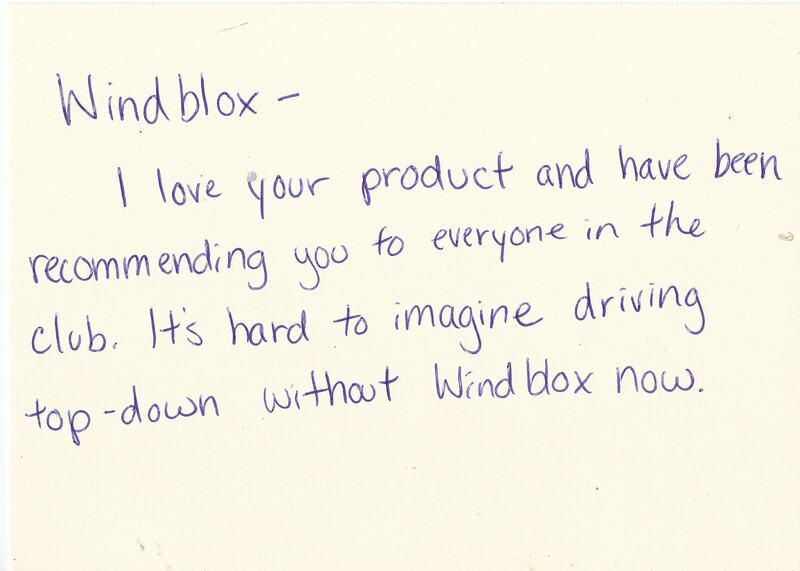 Wind blox- I love your product and have been recommending you to everyone in the club. It's hard to imagine driving top-down without Windblox now . 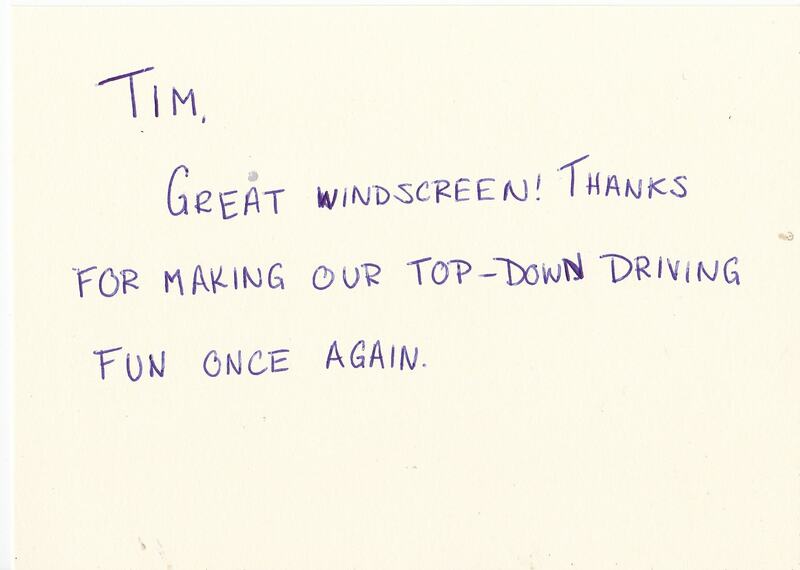 TIM,GREAT WINDSCREEN! THANKS FOR MAKING OUR TOP-DOWN DRIVING FUN ONCE AGAIN . 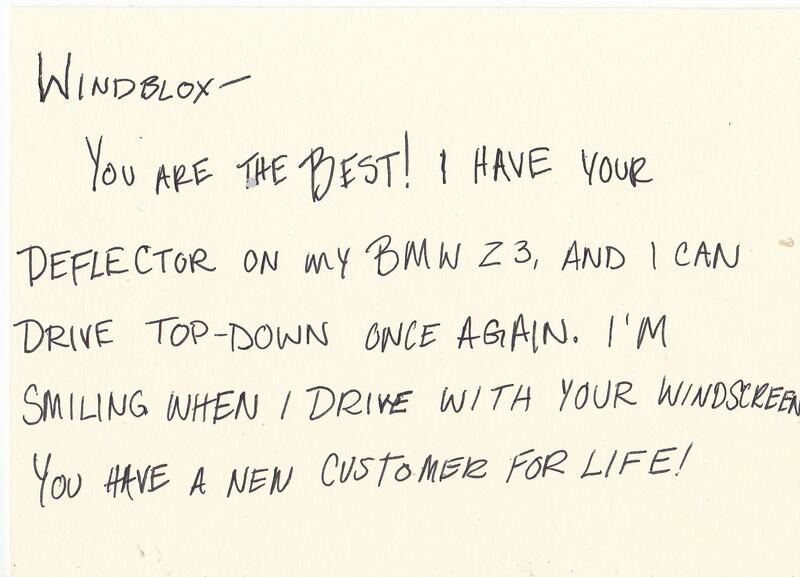 WIND BLOX- YOU ARE THE BEST! I HAVE YOUR DEFLECTOR ON MY BMW Z3, AND I CAN DRIVE TOP-DOWN ONCE AGAIN. i'M SMILLING WHEN I DRIVE WITH YOUR WINDSCREEN YOU HAVE A NEW CUSTOMER FOR LIFE ! . 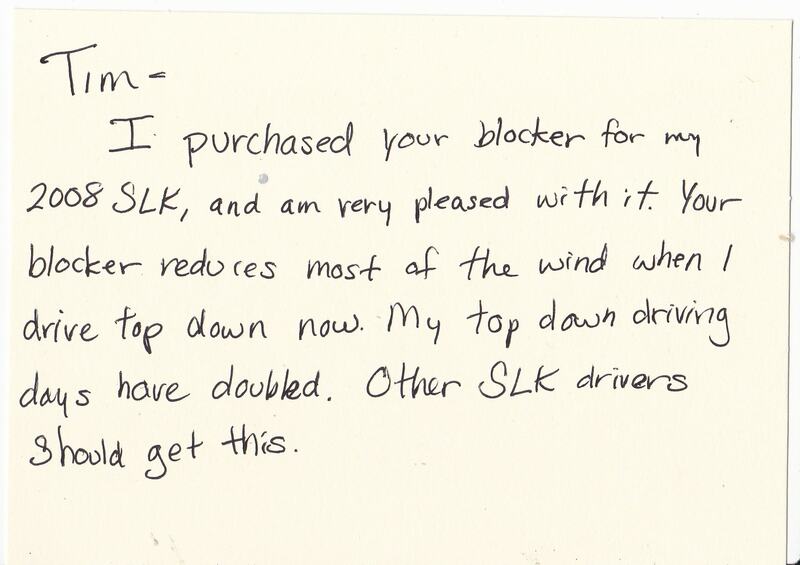 Tim- I purchased your blocker for my 2008 SLK, and am very pleased wit it . Your blocker reduces most of the wind when i drive top down now. My top down driving days have doubled. Other SLK drivers should get this . 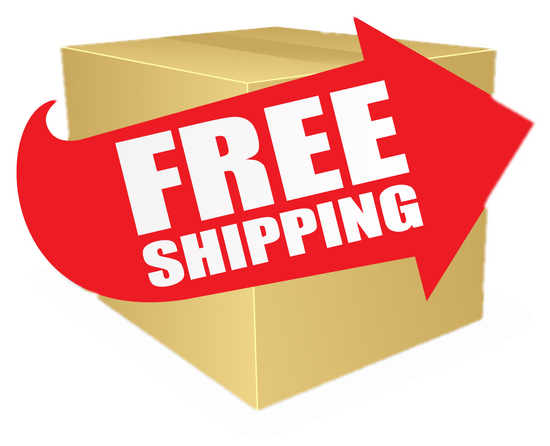 Great Product and Great Delivery ! 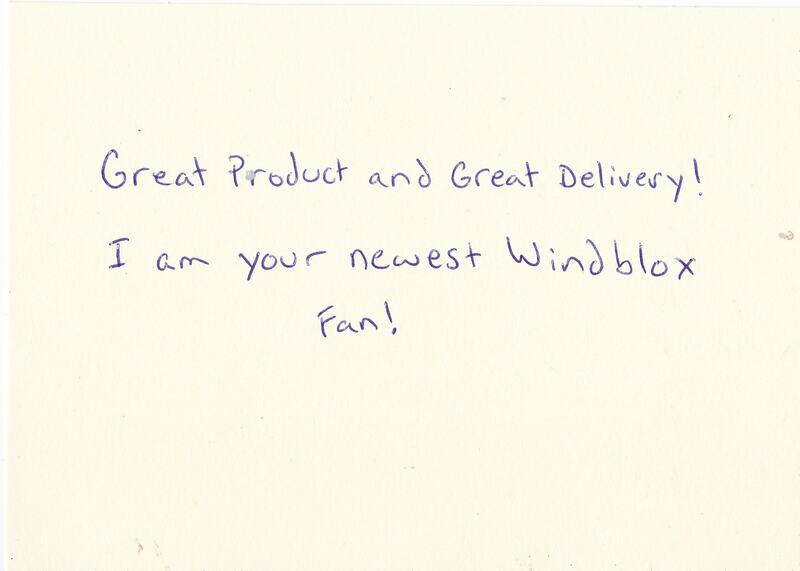 Iam your newest Windblox Fan ! . 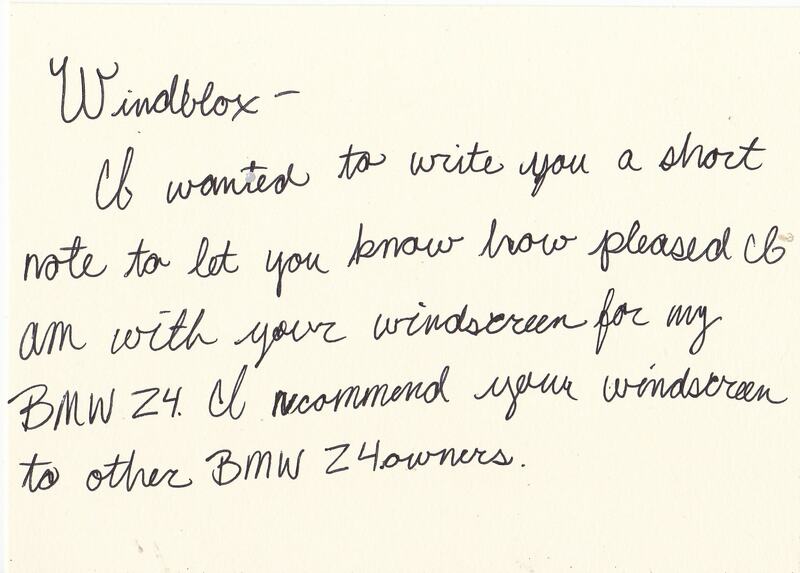 Windblox - I wanted to write you a short note to let you know how pleased i am with your windscreen for my BMW Z4. I recommend your windscreen to other BMW Z4 owners . Tim- you have a fabulous company and product. 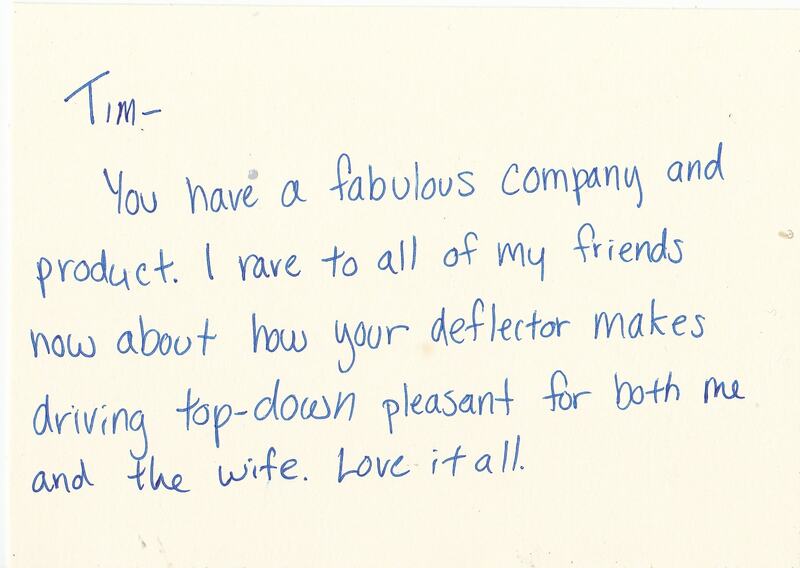 I have to all my friends now about how your deflector make driving top- down pleasant for both me and the wife. love it all .